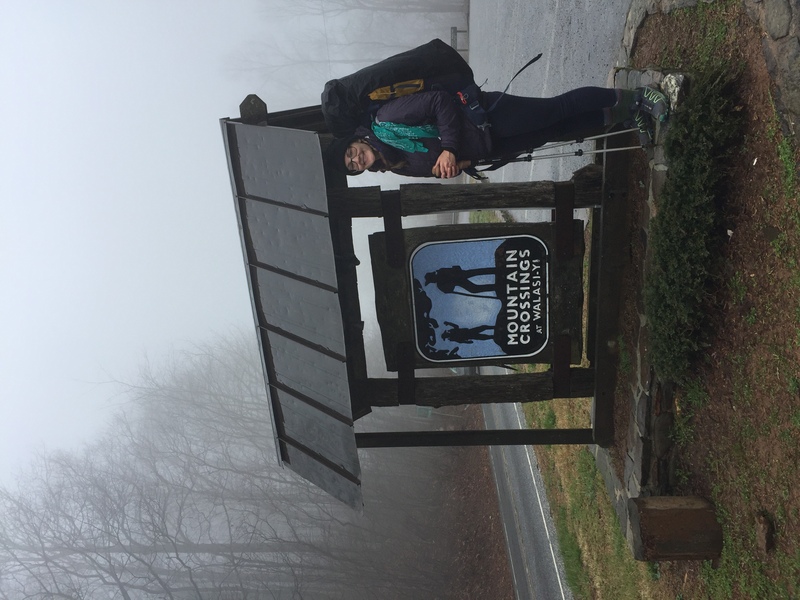 My first five days on the Appalachian Trail were an eye-opener. For better or worse, I decided to hike the approach trail, which proved to be some sort of hazing ritual. To me, it felt like if I could get through that first day, those stairs at Amicalola, then I could make it. 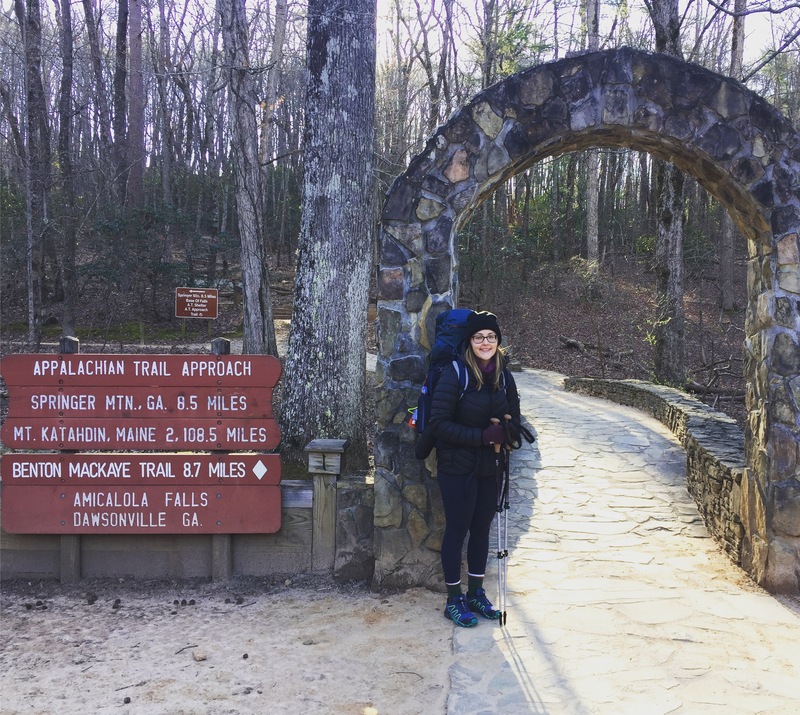 The ATC staff at Amicalola offers an orientation for thru-hikers. I didn’t get the free Snickers their advertisement promised, but I did get some peace of mind that I had the top ten recommended pieces of gear. And my hiker number, 1012. Starting on the AT proper, things got much better. After a bitter cold night camping at the Springer Mountain Shelter campsite, my second day was sunny and beautiful, with the trail crossing over streams and creeks. I have started in the bubble, when many thru-hikers begin, so I have had the pleasure of meeting an assortment of people from around the country. Some hike faster, some hike slower, but I can honestly say everyone I’ve met so far has had a smile and a friendly attitude. The AT community is a warm and generous bunch. In my first few days, I’ve already been blessed with two trail magic stops, both on St. Patrick’s Day. A 10 a.m. beer anyone? You have to be pretty cool to share beer with complete strangers. 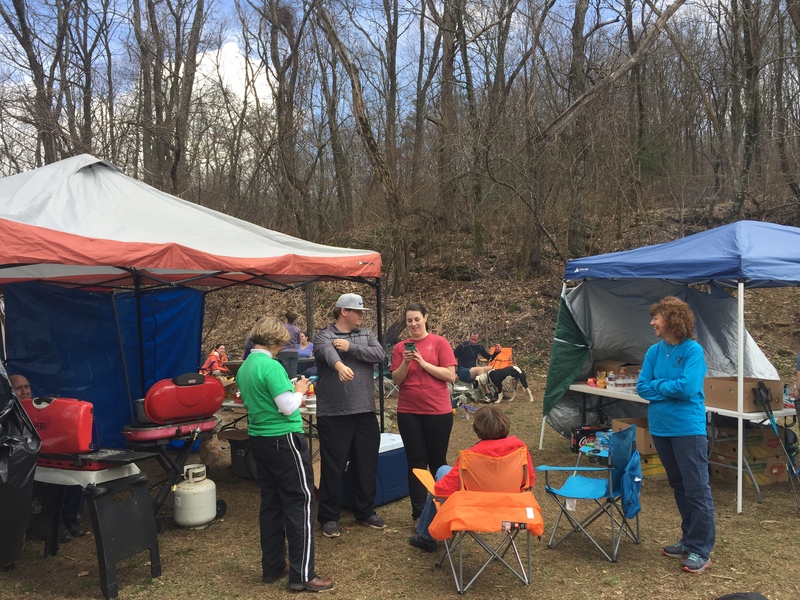 A second group, Glenloch Baptist Church, had chili dogs, soda, chips, snacks, and an assortment of toiletries available. The generosity and kindness has been humbling and so appreciated. I can’t explain how much easier and faster I hike to or from a chili dog. Of course, there have been as many challenges as blessings in my first five days. The first day was the toughest simply because all the everyday trail challenges hit you at once. You’re cold, hungry, sore, and I was sad to be leaving my loved ones. Sassafras Mountain on day three taught me what true knee pain feels like and that hiking downhill is worse for me than uphill. I have also had pain in my Achilles tendons (that thankfully has since abated). Right now it seems unfathomable to hike more than eight miles a day. But it takes time and patience to gain the strength to hike big-mile days. I have not hiked in the rain yet but have had to pack a wet tent (there is no good way). 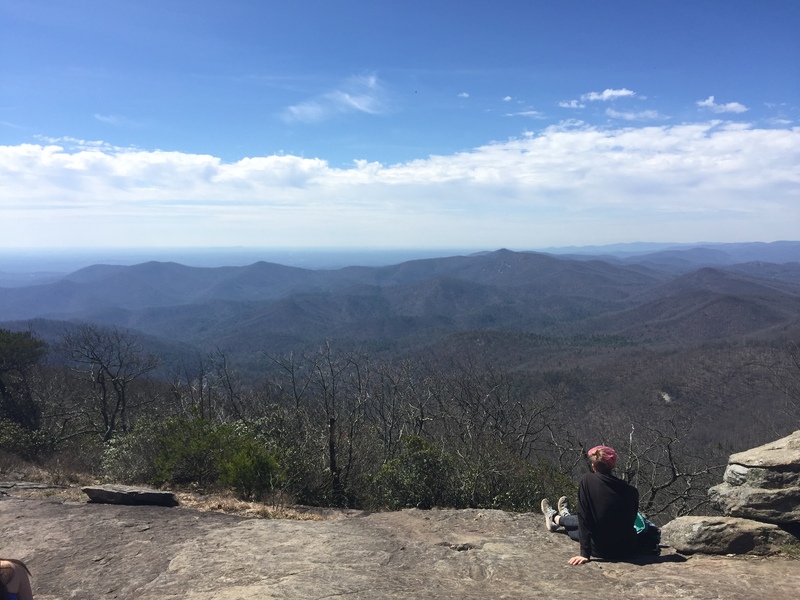 The hike to Neel Gap was a beautiful and rewarding day. The first major summit was Blood Mountain. The climb was steep but the descent was a rocky jumble. The view at the top was a picturesque landscape of the surrounding forest and mountains. It could only be made sweeter with the knowledge of one thing: pizza. 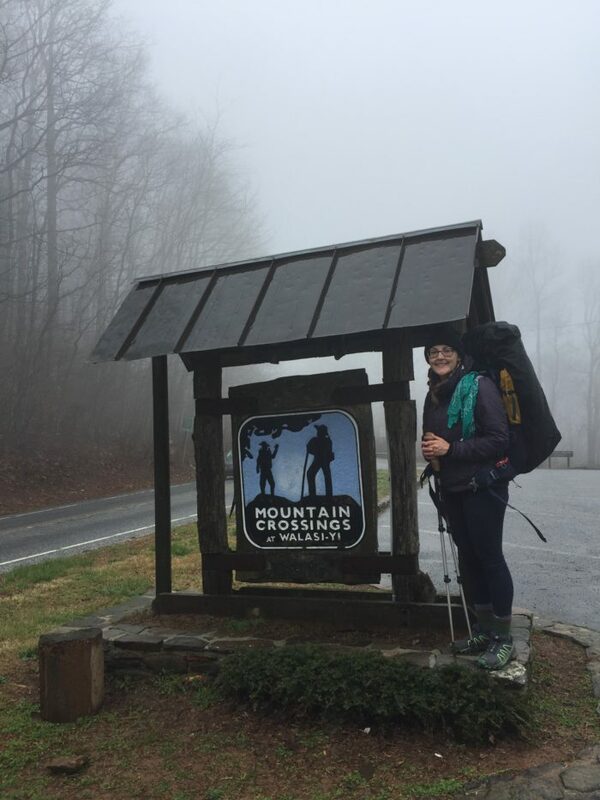 Neel Gap is home to Mountain Crossings, an outfitter to help with your food and gear resupplying needs. It’s also a popular place for hikers to quit the trail and leave food and gear behind. I was pleasantly surprised that I was able to resupply the majority of my food for free from the hiker box. My first five days on trail have been a challenge but immensely rewarding. I’ve met some fantastic and interesting people and seen some majestic scenery. And I’m still here. I’m excited for the next 40 miles. So excited for you. Great job! What are the top 10 pieces of gear that the ATC staff at Amicalola are recommending at the orientation? This would make a good article and especially since your interacting with these items on a daily basis. You could provide an honest review but honestly I would just like to know what they are. Thank you so much! The list they had at Amicalola was pretty general (shelter, cold-weather clothes, trowel, etc) but it was reassuring to know I had the necessities. Great article! Just like Ron I also am curious what gear you brought, I am also curious how the temperature is at the beginning of the hike. Good luck on your adventure and I hope the trail magic fallows! The temperature was wet and cold when I started (March 14) but it’s gradually been warming up. I’ll try to get a gear list together and posted soon. Thanks for reading! Love ur updates! Keep movng forward! I plan to section hike the AT in September and next spring! Cannot wait! !